As a beer lover, my personal contribution to the burgeoning Venezuelan craft beer movement has been to collaborate with a friend, David Jaimes Messori, to create a brand for his homebrewing business in Caracas last year. 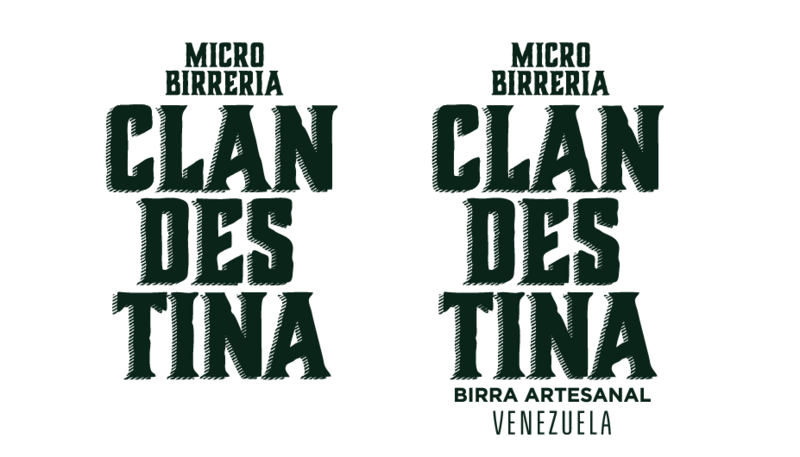 We settled on the name Clandestina (Clandestine in Spanish) as nod to the relatively low-key status the beer brand must undertake considering the over-regulated (and extremely outdated) legal framework that deals with liquor in Venezuela as well as the nonexistent marketing budget at his disposal. I contacted another friend, Diego Moreno (Venezuelan living in Mexico), to design the visual identity. He has experience with branding and packaging design and leaned on some American prohibition-era aesthetics to continue with the play on the less-than-legal life of this homebrew brand on the market. To see more of Diego’s work, visit his Pinterest page. 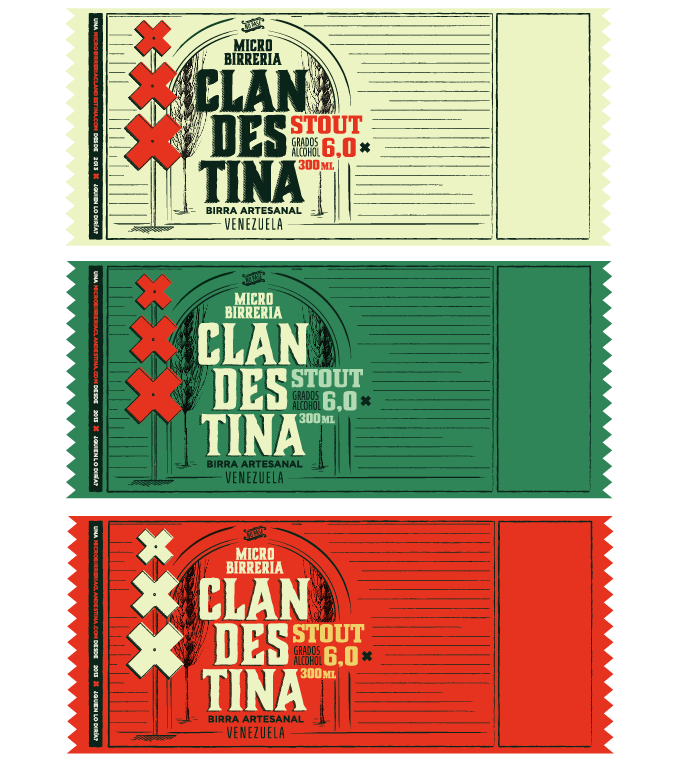 Follow Clandestina on Twitter to get news about it. If you’re interested in tasting it, you’ll need a plane ticket.